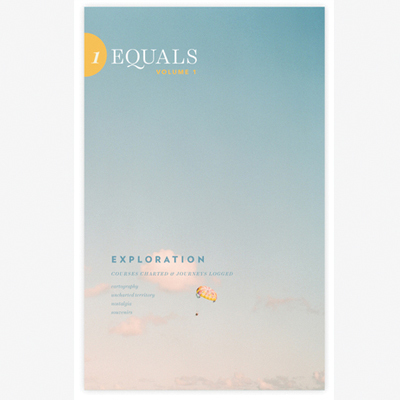 In this week's issue of Equals, we're examining giving. I Found A Tangerine in My Bed! Oh Well. When people talk about traditions, I feel like they talk about generations of rituals that get repeated over time, that fall like drops inside the vase that has the shape of culture. Since I was little, I didn’t like traditions-we had a lot in my family. The way we decorated the Christmas tree, with the same big balls at the bottom and the delicate, wooden toys higher up. We always had an angel on top, not a star, like most people do, never a star. I always wanted a star. I wanted fish on Christmas day. I hated the lamb that we had in Easter. My grandmother was very understanding; she bought me Christmas pastries all year round-sometimes we froze it so that it would last longer, so that I would unexpectedly, untraditionally have Christmas food in late May and ice-cream before New Year’s Eve dinner. Growing up, I realised that my family was not really traditional, that my mum simply found comfort in this ritualistic ocean. She found safety. For her it didn’t matter what other people did, she didn’t care about the vase of culture. She actually preferred the angel to the star on the Christmas tree and she enjoyed longing for the Easter lamb. For her, traditions are a way of living. I thought it was normal, really—for your entire house to completely transform the day after Thanksgiving. 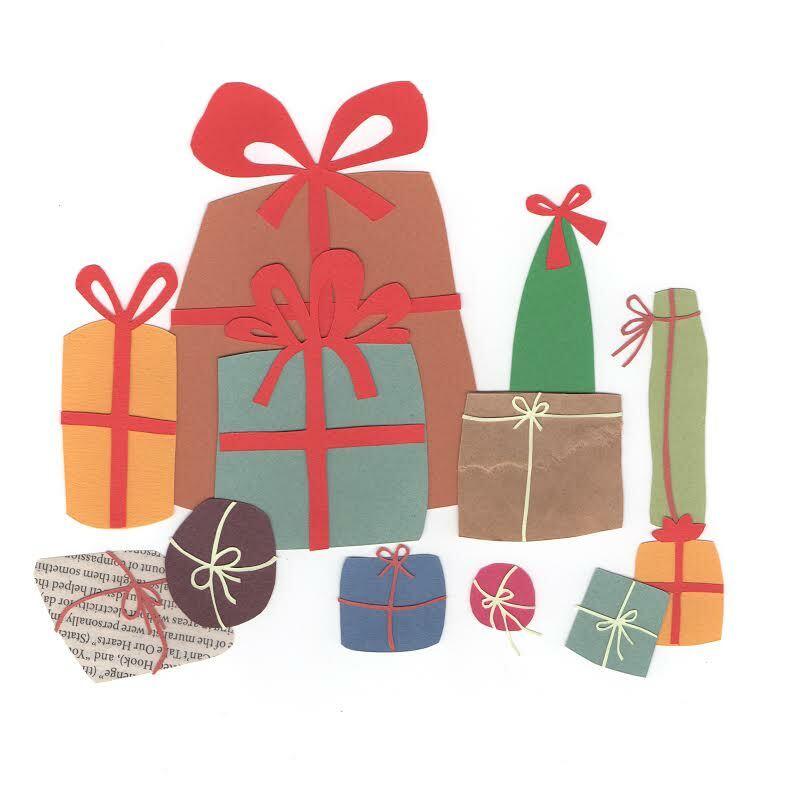 We’d pay our Thanksgiving dues; and then the very next day down came box after box after box from the attic, all packed with years’ worth of Christmas decor, and more importantly, memories. We each had our tasks. Stephanie arranged the nativity. Dad strung the tree with lights. Mom replaced artwork with holiday wreaths. Josh was too young to lay claim to any particular chore, so we assigned him the odd jobs. And I always, always wrapped our staircase in greenery and lights. It was tiresome, a bit, and every year I questioned how I’d gotten myself into designated stair-decorator. But then every year, when I finally made it to the top and plugged in the lights and saw the whole entryway and staircase glow, my face matched the light with pride, my heart with holiday spirit. Nervousness, twitching, furtive clock-watching. What would it think of me? I restlessly scanned potential First Pieces, hearing and rejecting a whole stack of repertoire in my inner ear. (“Too fast. I’m too off my game for that.” “Too bombastic. I don’t want to scare it.” “Too easy. I want to hear polyphony. It probably does too.”) The instrument must have heard, felt many other First Pieces—it dated from the late 1940s, presumably after Baldwin had been permitted to resume making pianos following a wartime government ban on that endeavor. As I sit down to type this evening I feel incredibly blessed. I am after-all, sitting down to write; that alone makes my heart soar. I’m perched contentedly in the desk chair I found at an estate sale and painted a glossy candy apple red. My desk is large square that used to be my great grandmother's dining room table. Its glossy mahogany surface makes me feel connected in a way few possessions do. The small brass plate on the underside of the surface bears the name of a furniture company long out of business. The raised letters of that little plaque remind me that the old saying is perhaps true: They just don’t make them like they used too. This table is both sturdy and beautiful with rounded legs, beveled edges and has a perfection in shape and symmetry that I would have thought impossible outside of a factory. After it was my great grandmother's, this table was my parents’ dining room table. On holidays and special occasions we set it with my parents wedding china and covered its mahogany with a lace table cloth. Opposite the brass plaque there is a white sticker that no one has removed. It’s from the move we made when I was a sophomore in high school. We moved a couple of other times, but I know that sticker as well as I know any graphic image, and it’s from 1998. But that sticker isn’t the only marker of my childhood. On the table surface is a giant scorch mark. Some might call it ugly; some might even think it ruins the table. I see the history, and I can’t help but smile as I think of the Advent Wreath that we all thought was so lovely: The tall purple and pink pillar taper candles surrounded by a ring of real evergreen. I remember exactly what I was doing when the smoke detectors went off. This past weekend got me thinking about traditions. They are a funny thing. As an adult, you cling to the smallest memories from your childhood. Recently my husband made me ‘egg toast’ and was so excited about it. He talked about how his mom had always made it for him for breakfast on cold winter mornings. He prepped the plate carefully by hand. But when it arrived, it didn’t look like a memory to me, it looked like a mess. The egg was cut up over the bread, the yolk oozing over the whole plate. And although I ate it, it didn’t look very appetizing. It’s kind of the same thing with Thanksgiving. Everyone has their weird family thing they have to do every year. Ours might be watching ‘Home for the Holidays’ and reveling in the dysfunction of Holly Hunter and her parents and brother. Or getting into heated family arguments and resolving it all with whiskey and a cozy fire. I once knew a girl whose family made stuffing from White Castle burgers mashed up. If you have ever had a White Castle burger you know how disgusting this is, and she fully admitted as much, and yet, there it was, year after year. This Thanksgiving there were only four people at the table, the smallest Thanksgiving I’ve ever attended. It was my husband and I, and my parents; Charley was napping. We didn’t watch our movie, and even though we ate turkey, there wasn’t much tradition to it. And there was a moment when we were all quietly eating when I finally understand why people have more than one child. It was this, this loneliness. The food was delicious, and it was relaxing in a quiet, weird way, but mostly I just missed the chaos.